Spacious two story, ocean front home with upstairs glassed in deck and private stairs to the beach. Located upstairs is the open living room, dinning area, and kitchen. Also upstairs is the large master bedroom and bath with access to the deck. Located down stairs are the other three and a family room which has a wet bar off of the family room is a grassy yard and stairs to the beach. No smoking, no pets, linens & towels not provided. NIGHTLY MINIMUMS VARY SUMMER AND HOLIDAYS. 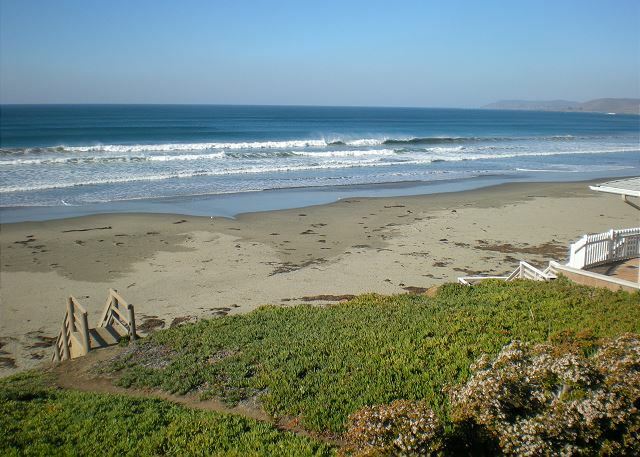 This oceanfront property gives You access to the beach at any moment. 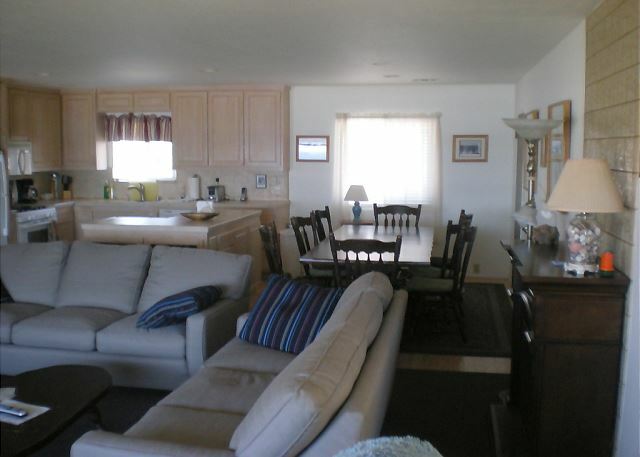 The home is very spacious and kitchen has everything you need to enjoy our time there. Great location and spacious. Outdated in some areas but still a great beach house. I would definitely come back! As always great house with awesome views. Plenty of room and fully stocked. You can’t go wrong with this place. What a treat for this Texan familiy of 3 generations (1 1/2 yrs - 69 yrs) to enjoy a wonderful week together in this house! We loved how easy it was to walk down our own steps to the beach but the views from the house and deck made us feel like we were always on the beach! We saw whale spouts, dolphins swimming, seals splashing, otters eating, and lots of birds. We made so many good memories together! We were so excited to spot 5 starfish on nearby rocks at low tide. And the beach was rich with sand dollars! 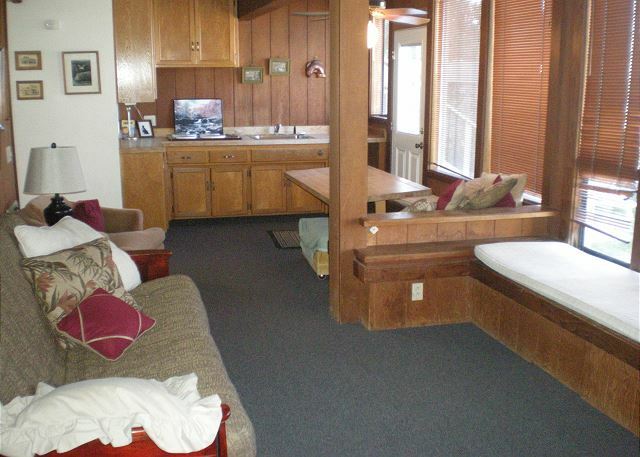 The master bedroom/bath upstairs is spacious, comfortable and quiet. Having 2 floors In the house served our family well with our various needs for quiet and personal space. Kitchen was well-equipped, dining and living areas great size! Appreciate the high chair, pack n play, boogie boards, puzzles and games already there. (Sure could have used a card table for working puzzles!). We were only 5 minutes drive from Cayucos and 10 min to downtown Morro Bay, both of which have good variety of shops and restaurants. Highlights for us away from “our” beach were to discover more about area at Morro Bay state park museum, kayak in Morro Bay and try new and fresh foods at weekly farmers markets. We appreciated the clean, well-maintained property and the friendly, helpful service from the ladies at Coastal Escapes. We already look forward to our next visit! Yet another great stay at this lovely home with amazing views. My family has an annual trip to this home and we look forward to it each year. 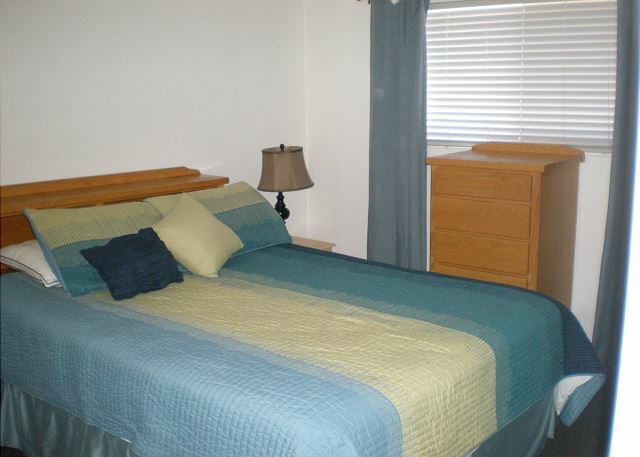 This house is clean, comfortable and has everything we need for a great week. Can't wait until next year. This isn't the first time we've stayed at this rental. 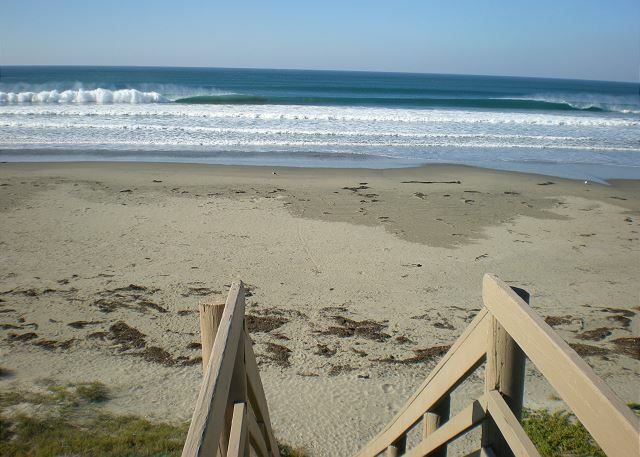 It is a great location with it's own stairs down to the beach. We walked through the door and everything was clean, tidy, plenty of seating for the larger family gatherings. There's plenty of pots, pans, bowls, kitchen utensils for cooking, baking to fix meals, snacks etc. This time we stayed at the house most of the time...we did go out for a couple of meals...Ducky's in Cayucos is good and there's a BBQ place in Morro Bay (the old Bob's Big Boy) and my guys always enjoy the Hoffbrau in Morro Bay. The kids enjoyed their beach time (when it wasn't raining). I highly recommend this property! I'm a repeat visitor at this location. We love the house and room to spread out. Other than the lights being out in the kitchen when we arrived, everything was fantastic. We will be back. Second time we’ve stayed here and booked it again for later this year. Great house with lots of room and beds. Well stocked and very clean! Wow this place is amazing! Lots of room, great views, just an overall great house! We had a wonderful time with our family at 2886 Studio Drive. The downstairs suite of rooms was perfect for our kids and grand kids and the upstairs area was spacious and well organized. The view from the living room and balcony was amazing! This is a good place for a larger group of people. 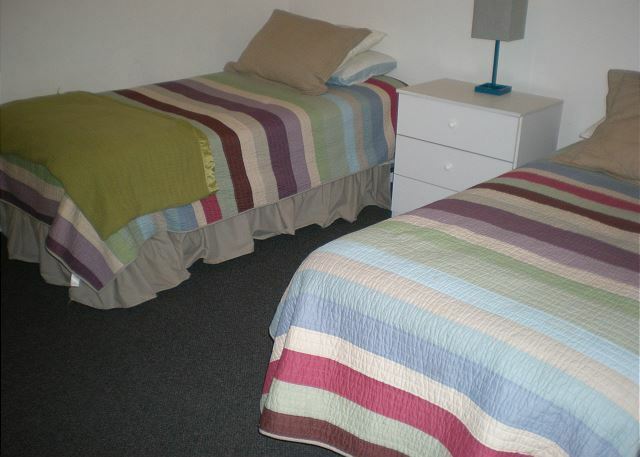 Plenty of beds, a large table for meals, and lots of comfortable chairs for lounging. We've been there before, so we knew what to expect. The house is perfect for our group, and we'll be staying there again, no doubt. Four generations of family enjoyed staying in this beach front home. Kitchen and dining area was perfect for our needs. Only issue with the house was a small leak in the downstairs bathroom. We all had an amazing time and are looking forward to returning in the future. We have stayed at this property 7 times since 2004 and always enjoy our week on the beach. Glad to see some improvements since last stay. New carpeting and couches and a much needed new refrigerator. Already booked for 2018! Great beach. Great access. Lots of family came to enjoy with us. This is the third year we have rented this particular beach house. This year we arrived to find some updates to the flooring and furniture. Love the location and the layout of the house. Great view. Enjoyed the usual dolphins, seals, and otters. The whales were a bonus. Hadn't seen them before that close and active. The place is outstanding for families. You might add a small refrigerator in the hole downstairs. This was the second time we've used this property for a long weekend. Each year we do a "cousin camp" at the coast. Last year I rented this location for my immediate family and again this year I rented it...we absoleutly LOVED it. T'was the perfect size to hole us and then we also had some other family members join us for a day at the beach. The location is perfect as we didn't have to lug all of our stuff from a hotel or in the car...just went down the private staircase down to the beach...if you needed to get out of the sun, just go back up to the house. The balcony was great to sit and watch the sun set in the evening and in the mornings to watch the surfers wilst enjoying a cup of coffee or tea. You won't be disappointed! Beautiful home and a great location! My friends and I spent the weekend here for my 30th birthday and it was amazing. It was so relaxing and such a cool, funky house. We loved it! The rental experience was generally good, however, there were several simple items that could have been done before we arrived with maintenance and cleaning that would have made the experience very good. Had a fantastic time. First time staying at this house and wasn't sure what to expect but this house was perfect for our group size. Clean, roomy and great location. Have stayed at other houses through Costal Escapes and all have been very nice. It is a large beautiful house. It is dated inside, but the views and location far exceed the decor! Nice small yard, and easy walk down steps to beach. The large windows upstairs are definitely the shinning asset of this property. We had a great time. There was a total of 9 of us and the place was nice and roomy, we never felt cramped. The location right on the beach was perfect for the kids who loved playing in the sand. Falling asleep to the sound of the waves was soothing and relaxing. 2nd time we have stayed here. Location is key factor. Plenty of room for everyone. This is the second year we have rented this house. We love the view, of course. Who wouldn't. The second floor contains an open living area of kitchen, family room, and dining room, which have unobstructed views of the beach and ocean. The master bedroom is off the family room. Downstairs there are not only 3 bedrooms but a sitting area. Loved our stay. This was our third annual getaway and it could not have been better. We had previously stayed in a different place and were nervous to try something new. We will never go back to the other place! The home was so comfy and cozy and provided a great atmosphere for what we were looking for. A place to relax and catch up with old friends. The home is large and clean. Beautiful views and ocean access. We will be booking it again! Thank you! GREAT HOUSE & GREAT TIME!!!! We all had an amazing time and are looking forward to returning.The management company was very helpful and polite.The property was very clean,well-maintained and stocked with everything we needed. The private steps to the beach was very convenient and easy to access. We enjoyed visiting Hearst Castle, only a 30 min drive, and dining out at Schooners restaurant. I would definitely recommend this property to anyone....I will return for sure!! We arrived and were really pleased with this rental! I really didn't know what to expect and this was over the top!The set up is great, the view was positively breath taking! We rented this for our "annual cousin camp" at the beach. Our family of 9 stayed here and they were all very happy with this place. It was everything that the property description had described and then some! It was clean and maintained, kitchen had more than enough of cooking pots, dishes, bowls and things to fix and eat meals. Did I mention the views? Every window had a beautiful view! It was easy to find and I would HIGHLY recommend it to everyone I know. With our "cousin camp" each family has to cool/fix one meal, so we didn't get out much...but we did have dinner at the Grill Hut in Morro Bay and on our last day, breakfast at Karla's in Morro Bay. We always visit the Cayucos Pier and play on the swings (the grandkids) before leaving for home. We had a "beach day" where everyone came to our place, this was nice as there was our own "private" stairway down to the beach and when anyone needed to use the restroom or needed to get out of the sun or wanted to grab a bite to was just up the need to haul ice chests and food down to the beach and then carry it all back up...making numerous trips back and forth with your hands/arms full of heavy stuff. This was awesome and we look forward to next year's Cousin Camp at the beach! We will rent this house again for sure! If you don't need the latest in home furnishings, this is a great place for a family reunion. I loved the view and the direct access to the beach. The kitchen was very nice and the dining room table large enough for 8 or more. The only issue we had was a wet carpet by the upstairs sliding glass door. It had rained rather heavy the night we checked in. We determined the water was coming in at the base of the door. This was reported to the management to inform the owner. The house was stocked with lots of dishes, blankets, puzzles & magazines. It was a very nice place. We had a lovely weekend and would definitely come back to this particular rental. A wonderful week spent on the beach. Beautiful sunsets, sand castles, dolphin, otters. I would recommend with reservations - knowing there were ants in lower kitchen area, carpet needs cleaning, furniture dated but comfortable. Location and price makes the perfect value especially with children. I like the fact that there is a lot of room in the house and the location. It was well stocked.. I was dissapointed that the TV in the Master Bedroom doesn’t work. Is time to buy new TV’s (they are very inexpensive now.) Also the covers for the furniture in the family room needs washing. It was all we wished it would be. 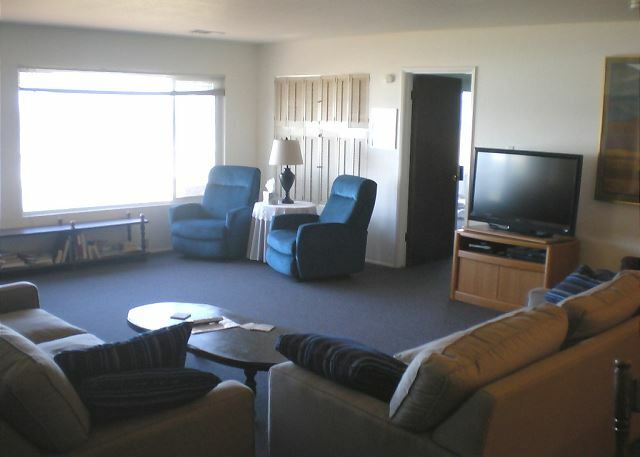 Clean, ample room, beautiful view and bascically top of the line rental! My family really enjoyed staying in this beachfront house. It was big enough for our multigenerational family. Loved the location. Gorgeous view of beach and ocean with stairs to the beach. We had a great time! Plenty of room and ammenities to keep everyone happy. 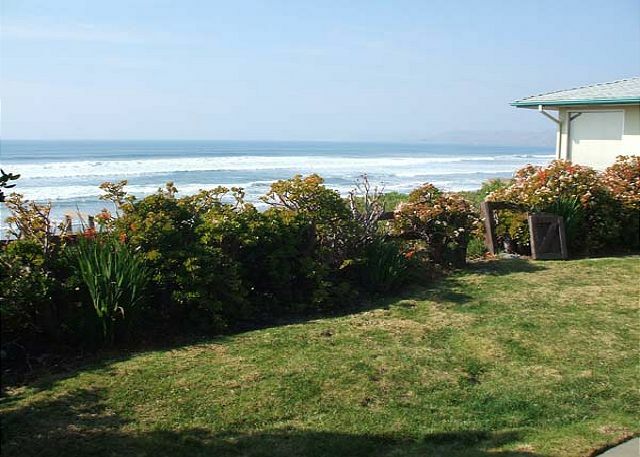 The property has a fabulous view and easy access to the beach. Only a five minute drive to Morro Bay and large grocery store. Love the home. Always a pleasure staying at this location! Great for families or groups. 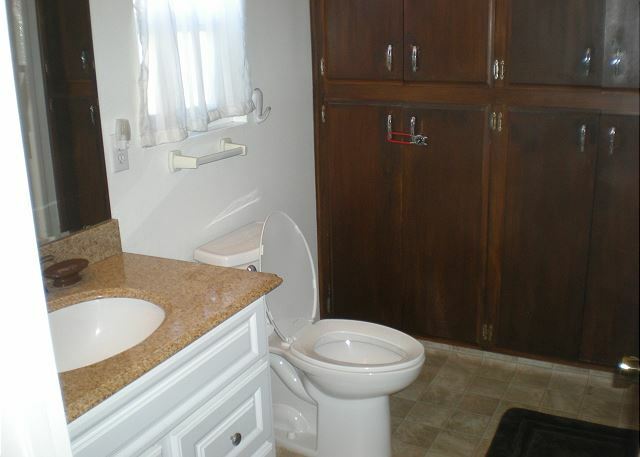 Plenty of room to stretch out when you want a little privacy. We rented this beach house for my 70th birthday for all of our family. It was a beautiful weekend, so the kids played in the surf and we took many walks on the pristine beach. If you want fancy, this won't be for you but it was so comfortable and cozy. Great views from everywhere and the sound of the surf was amazing. We definitely would rent it again. As a whole it was great...spacious and pretty well maintained. Some of my family expressed concern that the carpet in particular needed cleaning but that aside we enjoyed our stay. will most likely come back again some day. We love this home and can't wait to come back! We come a least 2 times a year! PERFECT Property for our family! Nice Neighbors, Enough beds Enough Chairs Enough WINEing and not a drop of Whine-ing. THANKS for offering this GREAT PROPERTY. See ya next year. We are a women's group who came for a retreat. We experienced perfect weather and could not have been happier with our weekend. I enjoyed the staying at the house. The house was very comfortable. We love this house like it's our own. There was a flood in the basement when we arrived and so the downstairs was musty the whole trip, but we wouldn't stay anywhere else in Cayucos! We have rented this house many times. We love the location and the size of the house. It never disappoints. We spent time exercising on the beach, relaxing, watching whales and dolphins from our windows and just hanging out with one another. If you want relaxation this would be the place to go. A great place for the family to gather together and the kids have a good time playing on the beach. We got married on the beach in Cayucas. And had our reception at the Veteran's Memorial Hall next to the pier. My wife and myself stood in this house the week of our wedding. We had some family come and visit on Sunday afternoon. There was plenty of room for everyone. Beautiful view from inside the living room and patio deck. And a private stairway down to the beach. Had a great time! Had so much fun our first week of our marriage! I would recommend this house to everyone. The pictures don't do it justice. You will not be disappointed. Our stay was nice, but the furniture and carpet are badly in need of replacement. The house was clean and comfortable and the location is excellent. Just a visit to Ikea would help. Amazing location, great house, has everything you could need for a wonderful stay. We highly recommend it. Our Favorite Place to Stay!!! We have been staying at the 2886 Studio Drive home for the last 4 years. We love the location and the home itself. Its perfect for a mini family vacay!!! I can't wait til next year. We always enjoy our week at the beach and this has been our house of choice since 2004. It's nice to see some of the improvements that have been made over the years. Would love to see a bathroom remodel downstairs since 3 of the bedrooms are there and it gets the most use. Fantastic place in a fantastic location. It could use some new chairs on the balcony, but overall it's an amazing vacation. The house worked out very well for our group. We love being on the beach. The kitchen layout was very nice. Our only complaint would be the spider webs downstairs. We would stay her again. There was one major problem with the property. It never said in the discription that the living area was all upstairs, this is important since my wife is in a wheelchair, and the whole weekend was a challenge getting her up and down the stairs. It would have been nice if the dvd player that was advertised was there. The kitchen was well stocked, and the chairs throughout were comfortable. This place is the best for a group. We have rented this location for the last 8 or 9 years for our yearly Men's retreat and it is absolutely wonderful. I like the fact that every year we go back there is something new to enjoy. LCD TV last year, Electric Fireplace this year and the house is always in immaculate shape. Thank you for providing such a great location! 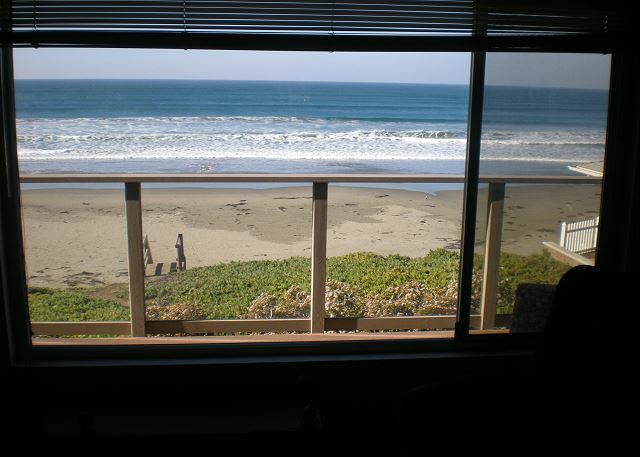 The house is beautiful, roomy, and the beach access/view is breath taking. This is my 2nd time staying at this property, the 1st time was with some friends, and I knew I had to book this house and bring all my family up here. EVERYONE had the time of their lives, and we all plan to book again next January. (Possibly in July As Well) Love this house/location. We loved it. We already plan to book it again next December... just waiting to pick the weekend. THANKS!! We came for our parents 51st wedding anniversary and had a wonderful time! The location and view is great! You can watch the sunset from deck or even family room, and they were beautiful. 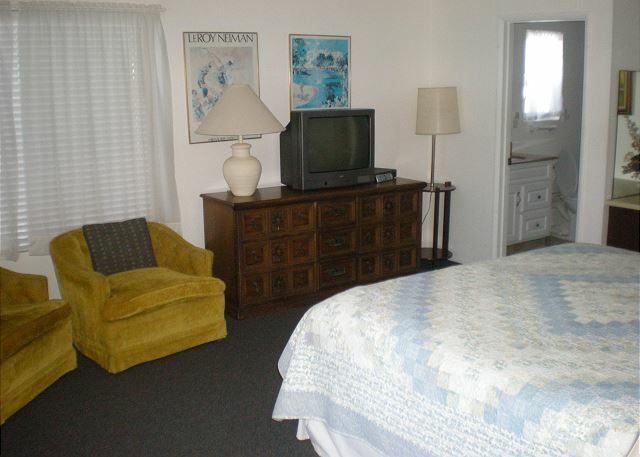 The furniture is older for the most part, but that is to be expected from a rental. Served the purpose well. 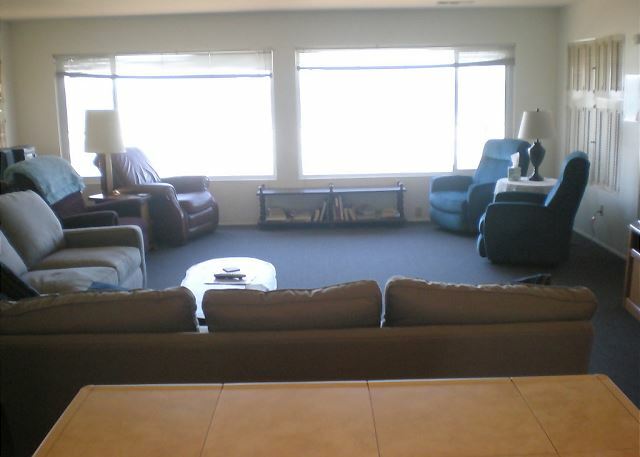 Lots of seating in the family room. Large dining table. Plenty of deck chairs and lounges also. Granpa has a bum knee, so we put them on the main floor, and they were able to enjoy the view from master bedroom also. The stair and trail were too much for them, but because the view is so great, it wasn't a problem. They were able to watch grandkids play in the sand and water. I would definitely recommend, and we are hoping to stay here again next year! Thank you Coastal Escapes...we made some wonderful family memories! Our family rents this house each year and it is one vacation that we look forward to all year long. The house is awesome and the beach is amazing. Can't wait for next year!! Really enjoyed the space and amenities. It was a bonus to have wireless internet. Will plan to visit again. Fantastic place to stay with family and friends!! This is the second time staying with this company and this time was better than last time....if that's possible! We went for my youngest son who graduated from high school and a few of his friends as a graduation celebration. My daughter and her family came down from Oregon and other family members came to enjoy the week with us. The house had all the comforters of home with an AMAZING view of the beach!! Lot of space in this house to relax and enjoy with family and friends. I recommend this house to everyone....We will be back!! The house was everything we wanted and much more. As soon as we stepped foot inside, everyone was bursting with excitement. The house was bigger and nicer than we expected, the location was perfect, and the views were breathtaking. 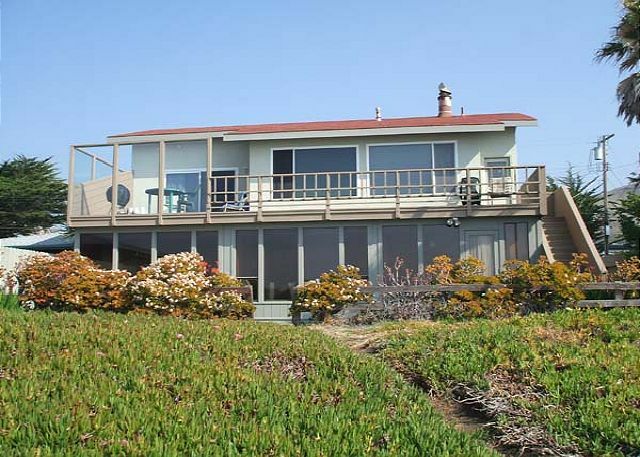 This is THE beach house to rent for large parties in Cayucos. Our entire experience was superb and we will definitely come back again and again and again!! What a great location, right on the beach! Excellent location! we loved being able to take the steps right down to the beach. The view from the second story and deck were magnificent. The upstairs family room with huge windows all around is where our family spent most of our time. It was a great area for the family to just be together. A wonderful location - very comfortable, welcoming home with lots of space. I would highly recommend it! Great way to celebrate my 30th! The house was great. It was very private and had an amazing view. The upstairs had the master bedroom, which was large, and the kitchen, living room and dining room. The ground level had the other bedrooms and a smaller kitchen. It was great for our small group of couples and we really felt like it was "home away from home." It was also our first time in Cayucos. We really loved the beach and the town. So we will definitely come back here. 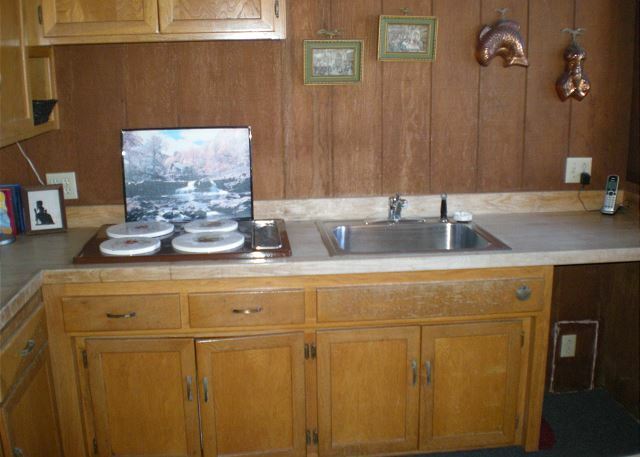 Also, the appliances are really nice. They had a lot of utensils and extras, which helped. Things were going great until we got a call to evacuate to make room for a sunami! We stay here every year and we love the place. We will be back next year and thanks to the owners for the upgrading every year. We love to come thru the door and see whats been done for the place in the past year. The wireless internet didn't work with the passcode on the refrigerator but other than that, it was a great stay and keep up the great work and thank you for sharing your beautiful home! The location was awesome. You can't get any closer to the beach. The upstairs area was very nice and a beautiful view of the ocean along with a great open kitchen and a new big television. The downstairs was the opposite. It was old and badly needs to be updated along with some of the furniture upstairs. Overall I thought it was wonderful for the price and would love to come back sometime. This house is huge and in an awesome location. Great for families with kids. The furniture is slightly outdated but it doesn't really matter because this house has tons of room, amazing views and decks with stairs to the beach----all you really need!! Loved the house, loved the location,it was quiet and restful, just what we all wanted. The only thing we could ask for is that the bottom steps to the beach be repaired. Hope to stay again in the future. This has become an annual family vacation for us and we look forward to it all year long. The house is amazing and comfortable, the beach side location is awesome and the view is spectacular. We can't wait to do it again next year!! Our 4th stay at this property since 2004. Glad to see the upper deck railing was replaced. Also some new appliances since our last stay. We've always thought an outdoor shower would be a good addition. Our family always enjoys the week! WE love 2886 Studio. 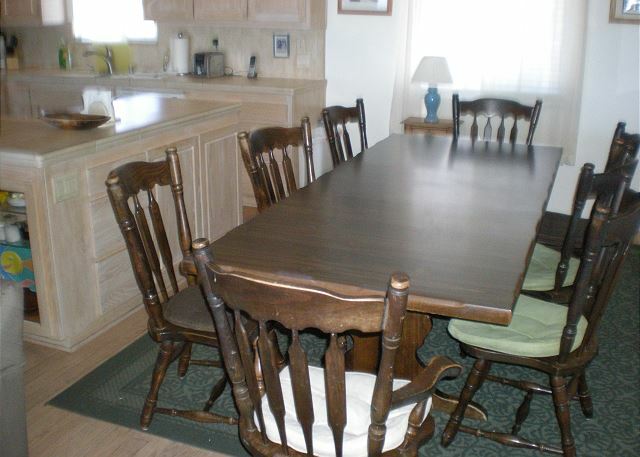 For the price, there's a lot of wobbly old furniture that could be updated. But the new improvements are great. Loved our stay, would do it again in a heart beat. It would be nice to have internet connection. This will be an anuual deal for us, you can aount an that. Nice roomy home with a beautiful view of the beach. We LOVE our time in 's the vacation of the year! The dishwasher in 2886 is still fairly ineffective and when we first get to the house we usually have to rewash all the glasses because they have debris dried into them from the bottom shelf of dishes (the food seems to blow up and dry on the glasses.) If we rinse the plates really well, it works alright, but sure wastes a lot of water. This was a great house. I came with my sons and their friends. There is a big bedroom and bath upstairs, which I stayed in, and 3 bedrooms plus a queen futon downstairs. 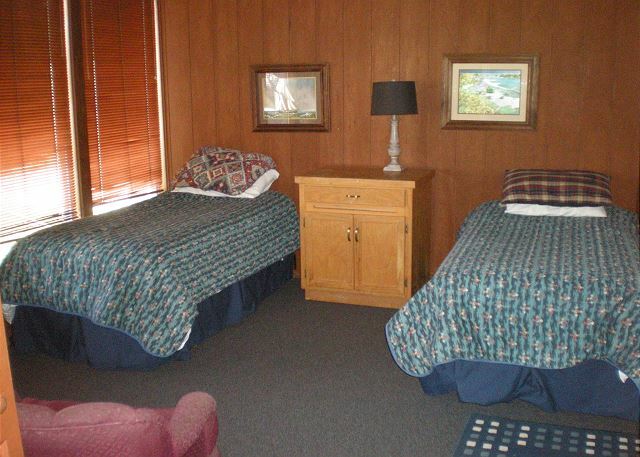 One bedroom has a queen bed, and two have two twin beds each. There is also a bathroom downstairs. It's the perfect house if you want quiet upstairs and the kids downstairs. The deck is very nice upstairs and there is a grassy area downstairs with stairs to the beach. 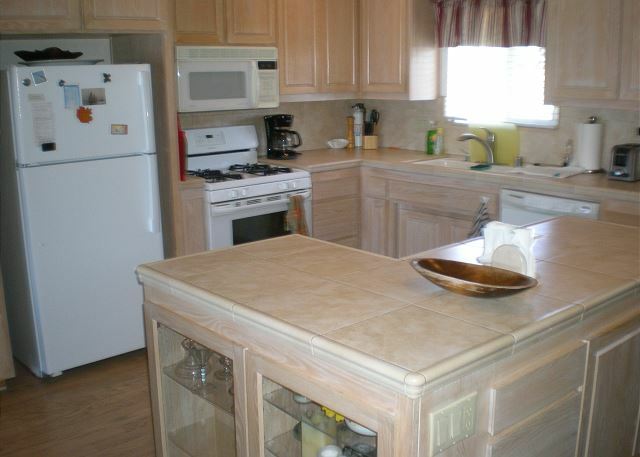 The kitchen is very nice and roomy, lots of dishes, silverware, pots and pans. Large dining table for 8. Perfect house for a big family. The listing included 1 king, 2 queens and 4 twin beds in the 4th bedroom with no pull outs or futons. IN reality there was 1 king, 1 queen, 2 twin beds in two different rooms and a futon in the open area.Otherwise everything met our expectations. And we hope to start an annual tradition. We like this house because it has a lot of furniture in the living room. It is usually 4 couples that go. This is the 2nd time we have rented this property. What an amazing vacation. We have such a great time and look forward to the tradition every year. The house is awesome and in a great location. There was some furniture that was in desperate need of repair... mainly the futon downstairs. Other then that we LOVE it! !